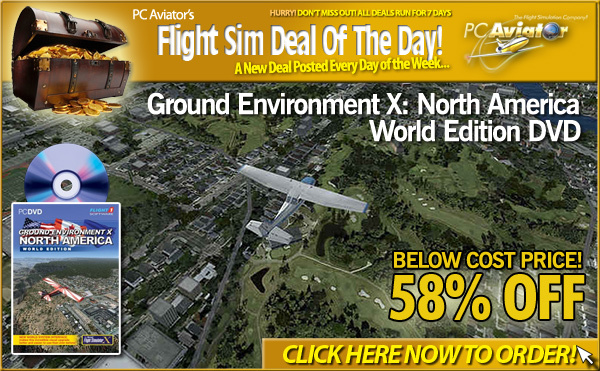 Just a heads up that we are reviving our "Flight Sim Deal of the Day" offers over here at PC Aviator. 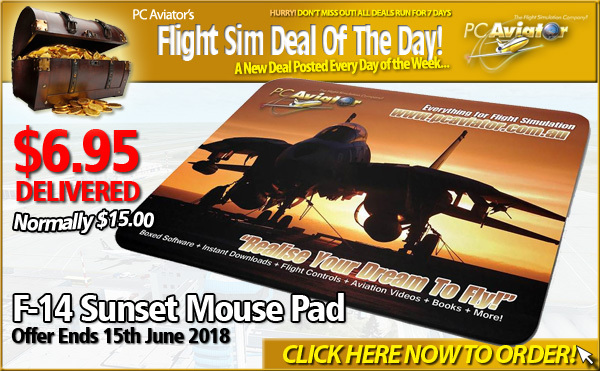 There will be a new deal posted every day for the next couple of weeks and depending on the uptake or popularity, will either continue it for as long as it remains popular or revert to normal pricing that no-one would prefer to pay! Here is the first deal and I will endeavor to update them here as often as I can. Each deal will run for 7 days. 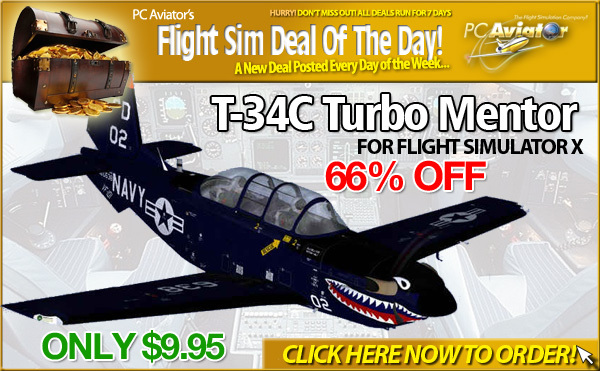 And don't forget that Every Tuesday is Cheap Tuesday at PC Aviator! Save 10% OFF Most Items online, including an extra 10% OFF some deal of the day items. 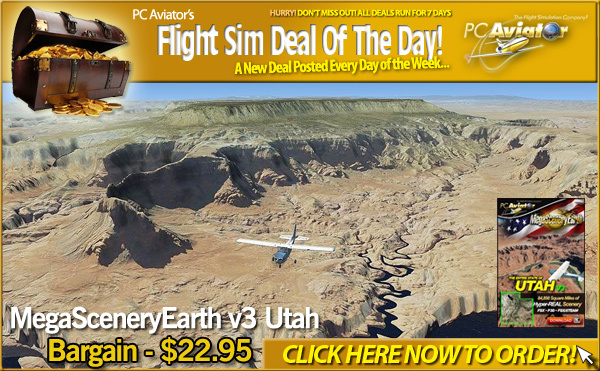 New Deals updated above in first post - including MegaSceneryEarth v3 Utah, Ground Environment X North America World Edition Boxed DVD, F14 Sunrise Printed Mousepad, T-34C Turbo Mentor, Just Planes Air Atlanta Icelandic A300-600 DVD, and Ant's Airplanes Eaglet LSA.